You are here: Home » Blog » Uncategorized » It is all about the numbers! 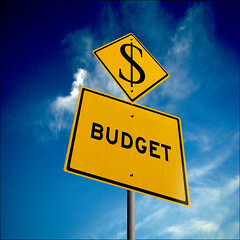 Can you convince a recruiter about your ability to manage a budget? Watching Dragons Den there are a number of points when you can see that the Dragons lose interest. One of the critical ones is when they start exploring the numbers. Sometimes the reason they don’t invest is that the numbers just don’t stack up. Another reason they don’t invest is that people don’t know the numbers. Or are confused about the numbers and what they mean. When you think about it, adiposity that makes perfect sense, viagra 40mg the Dragons are putting their personal money into someone else’s business. If that person does not know the difference between, search turnover, profit, and margin then why would anyone have confidence in the individual’s ability to increase margin, build turnover and deliver profit? Knowing the numbers is critical to success in the Den, and critical in giving the Dragons confidence in the entrepreneur. Can you see where I am going with this? All senior roles have budgets, some of them very big budgets; interviewers need to be sure that the candidates can handle those budgets and that they will be good with the money. The challenge for the interviewer is how to assess that. It is one of the most difficult areas of skill to really test. Numerical reasoning tests can test arithmetic, but that is not the whole answer. Commercial reasoning tests can test the ability of a candidate to think commercially (understand turnover, margin and profit but not deliver it). Questions in interview tend to be bland and relate to ‘how do you ensure you don’t overspend?’, ‘how do you deliver increased productivity?’, ‘ tell us what you have done to deliver savings/reduce costs?’. Ok those questions will get you some information about whether the person understands processes. How can you, as a candidate, give the interviewers confidence that you are good with money? It starts in the Cv and application: if you don’t talk the language of numbers then you are missing a trick. You need to shown in your Cv that you know the cost and value of everything. You need to demonstrate that you know and understand the metrics of performance. In your interview you should not wait for the interviewer to ask about money, budgets or revenues, you should be talking naturally about your income, your expenditure and your costs. By knowing and talking confidently about those things you are demonstrating that you think about the financial implications of all your activity. Once you do that, you give the interviewers confidence that you will pay attention to those things. What is it that makes the difference between someone who is a good financial manager and someone who is not? Being able to see the patterns in the numbers, being able to project. to identify and spot trends all make someone good at managing the money. But, I think one of the absolute key things is that good financial managers pay close attention to the numbers. If you talk about the money and know your numbers you can convince the interviews that you are one of those people who pay attention to money, and that you can do all those things you need to do to balance the books or turn the profit. 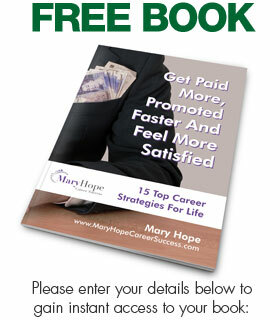 Mary Hope is an experienced senior recruiter and career coach.